By March 31, over 40 million small and marginal farmers would have got Rs 2,000 each in their bank accounts as direct income support under the Pradhan Mantri Kisan Samman Nidhi (PM-KISAN) Scheme launched early this year. The scheme, which will pay 125 million farmers' families Rs 6,000 per year in three installments, has been projected as the government's biggest farmer friendly initiative. The scheme is also an acknowledgement of the long persisting crisis in India's agrarian and rural economy. In Excess: There is no structure in place for situations of excess produce, when farmers are forced to sell below cost. 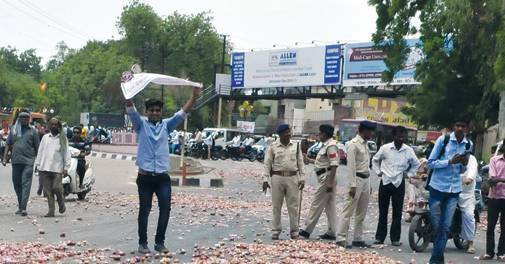 The BJP's losses in the recently concluded assembly elections in Madhya Pradesh, Rajasthan and Chhattisgarh were attributed to farmers' ire and rural unrest despite the much publicised initiatives like the Pradhan Mantri Fasal Bima Yojana (crop insurance), Har Khet Ko Pani (micro irrigation), e-NAM (digitally connected national agriculture produce markets), increased MSP and rural employment guarantee schemes like MNREGA. This clearly indicates that even record foodgrain production (an estimated 281.37 million tonnes in 2018/19) has not resulted in a corresponding increase in farmers' income. The key reason was the conflicting policy objectives in the last five years. When the Modi government took charge, its first priority was to tame runaway food inflation, which was 9.4 per cent in 2013/14. Moderation in MSP increase, imposition of stock limits to deal with cartelisation and hoarding, import of pulses and open market sale of procured foodgrain saw that there was a decline in inflation. It helped consumers but was in direct conflict with another promise in the BJP's 2014 election manifesto - enhancing profitability in agriculture by ensuring at least 50 per cent profits over cost of production. "We had two back-to-back bad monsoons (2014/15 and 2015/16) and so the aggregate production had declined. That was the time when the new government was trying to crack down on inflation, so prices did not increase. Rural allocations (for schemes like MNREGA) were also cut down as the government was trying to bring down the fiscal deficit. Thereafter, when rural income started picking up because of good monsoon and better produce, came demonetisation (2016/17). Growth slipped again. That is why despite two consecutive good monsoons and overproduction, farmers' income has refused to increase," says Sachchidanand Shukla, Chief Economist, Mahindra and Mahindra. Shukla says the government has learnt how to tackle a bad monsoon (better crop insurance) but is yet to know how to respond to an oversupply situation. In fact, the Pradhan Mantri Annadata Aay Sanrakshan Abhiyan (PM-AASHA), announced in 2018, was an attempt to tackle the procurement problem. The PM-AASHA was a combination of three interventions - Price Support Scheme or conventional system of procurement of foodgrain by government agencies, Price Deficiency Payment Scheme or payment of the difference between the market price and the MSP, and finally a pilot project to involve the private sector, the Private Procurement & Stockist Scheme. As on March 21, government agencies in charge of procurement, the Food Corporation of India and the National Agricultural Cooperative Marketing Federation of India, had procured only 45.68 per cent of the sanctioned quantity of wheat, rice and pulses, during the just ended winter harvest (kharif) season. While this is a huge leap compared to the previous UPA government, it is far from complete. Kiran Kumar Vissa, a member of the National Working Group of the All India Kisan Sangharsh Coordination Committee, says the PM-AASHA was a letdown. "The government spent about Rs 1,300 crore under the PM AASHA (in 2018/19), which is a pittance. In this year's Budget, they should have allocated a lion's share (of the ministry's spend) to that. Our estimate is that at least Rs 50,000-Rs 75,000 crore will be needed for making a significant difference in prices. But again the government has budgeted only Rs 1,500 crore," says Vissa. One of the NDA government's signature schemes has been Make in India, which it launched barely four months of being sworn in. More a vision statement than a policy blue-print, it identified 25 sectors to increase manufacturing's contribution to GDP to 25 per cent by 2020. In some sectors like smartphones - where India became the second-largest market behind China in 2018 - there has been exhilarating progress, thanks to deft policy manoeuvring where the government nudged Chinese players such as Xiaomi, Oppo, Vivo and Lenovo to make in India by increasing duties on imported phones and components. Today, all of them have big factories in the country, and are expanding rapidly. In December last year, Vivo announced a Rs 4,000 crore investment over four years to double its capacity in India to 50 million units per annum and set up a new factory. End Point: Power ministry data shows that roughly 12 power generating companies had dues of about `41,730 crore by end of December 2018. The announcement came months after Samsung made a big splash with plans to set up the world's biggest mobile phone factory in Noida by investing Rs 4,920 crore over three years. Around the same time, Lenovo said it planned to expand its capacity in India by 10 fold to one million units per month by the end of 2019. Market leader Xiaomi made its biggest ever fund infusion of Rs 3,500 crore in its Indian subsidiary in two tranches in January and March 2019. According to the Indian Cellular and Electronics Association, more than 120 new manufacturing units created nearly 450,000 jobs in the mobile phone industry between 2014 and 2018 in India. Yet, this kind of success is not visible in any other sector and manufacturing as a whole has stagnated. Shocks like demonetisation, protracted rollout of GST and slowdown in demand due to agrarian distress and high unemployment have not helped investor confidence either. Despite the progress in Ease of Doing business rankings, there is little to suggest that getting big projects off the ground has become any easier. Last five years have seen the flight of some big ticket but long delayed projects like Posco's steel plant in Odisha, Rio Tinto's diamond project in Madhya Pradesh and General Motor's exit from the domestic market. The share of manufacturing in GDP has remained in the 15-18 per cent range in the last decade and actually declined from 17.2 per cent in 2014/15 to 16.7 per cent in 2017/18, the lowest since 2010/11. It is unlikely that Make in India's target of 25 per cent will be achieved in the next two years. "What India needs is economies of scale. There are three-four key areas where a concerted push is required," says Nirmal K. Minda, Chairman and Managing Director of automobile component firm UNO Minda Group. In May 2014, the pace of construction of highways in India had slackened to a record low of 8.7 km per day. Five years later, it's a different story: at nearly 35 km per day, construction of highways is at an all-time record high. Roads, however, are one of the better chapters in India's infrastructure story. In some other areas such as ports, irrigation, power plants, airports, and even railways, the situation isn't rosy. Any large infrastructure project in India requires over two dozen clearances from various government authorities and together with the prickly issue of acquiring land, the average delay for any large project of over Rs 150 crore outlay was 44 months (as of October 2018). Over time, the inordinate delays have bruised both private sector companies suffering from protracted debt overhang and the banks that lent money to them leading. In the heady days between 2007 and 2012 when more and more companies, egged on by eager bankers, were investing in the infrastructure sector, the number of public-private partnership (PPP) projects had reached a high of 158 projects worth Rs 1.26 lakh crore in 2010/11. But in 2017/18, there were just eight PPP projects worth Rs 4,213 crore - the lowest in more than a decade. Burdened by debt, the appetite for investing in infrastructure projects with long gestation periods is gone. To keep things going, the government stepped up investments but that too has slowed. In 2017/18, direct government projects came down to just 183 - again, lowest in a decade - with an investment corpus of Rs 66,450 crore. "On the domestic side, for various reasons, it is clear that PPP has taken a nosedive. In a situation where the private sector could have bid for PPP projects, the balance sheet and liquidity position is under strain due to the current situation in the banking and NBFC sector," says Vinayak Chatterjee, Chairman, Feedback Infra. The distress is real. Ten of the 12 companies that were identified by RBI for bankruptcy proceedings in 2017 were directly involved in building infrastructure. There are enough examples of conglomerates selling off their crown jewels to pare debt taken to invest in the infrastructure sector. For instance, the Gaurs of Jaypee Infratech had to sell off a chunk of their profitable cement business to keep lenders at bay for the debt they took on to build a world class sports city on the outskirts of Delhi. Ruias of the Essar Group had to do the same with their oil company to try and retain Essar Steel. The pall of gloom deepened further when India's leading infrastructure lending company IL&FS defaulted on its payments in mid-September last year. This not only sucked out liquidity for new projects but also put many on-going projects in jeopardy. "There are very few sectors where the private sector could have really put in their money. Between 2008 and 2012, private players were very bullish on the power sector. A lot of fresh capacity was coming up then and the government also said that new capacity will find buyers," says Ashish Nainan, Research Analyst at Care Ratings. "The telecom sector is another industry where a lot of people put in money, even a lot of foreign capital. Similarly, in the road sector there was buoyancy in investment. Post-2012, the three sectors became the worst performers." Power, on the other hand, has seen progress. Bitah lies about 50 km from Patna. The households in the village recently got electrified under the PM Har Ghar Bijli Yojana (Saubhagya). All households in India (apart from a few) have been electrified. This was one of the poll promises Modi had made during his electoral pitch in 2014. Before those elections, the erstwhile Planning Commission had prepared a note which stated that most parts of the country had no electricity for 2,000-3,000 hours, or 83-125 days a year. Apart from electrification, in the last five years, the government has also diversified power generation by adding renewable energy sources. Solar based capacity addition has increased from about 2.1 GW to 26.1 GW. The plan is to accumulate 100 GW of solar-based generation capacity in three years. Solar power price has reduced from Rs 6.90 kWh in 2014 to less than Rs 2.50 kWh, thanks mostly to a sharp decline in the price of components and reverse bids. Most homes in India are electrified, but to make it sustainable, the country needs adequate supplies, transmission network and healthier distribution companies. At present, the top 10 distribution companies take an average of 562 days to make payments. 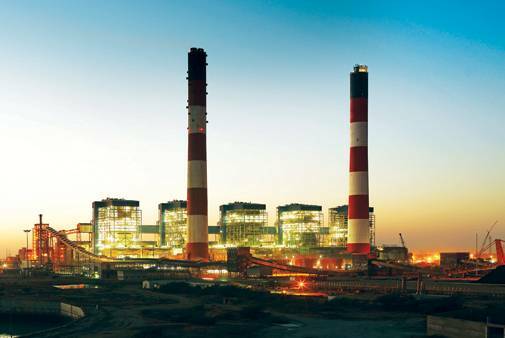 Ministry of Power data shows that by end of December 2018, roughly 12 power generating companies, including GMR, Adani Group and public sector NTPC, had dues of about Rs 41,730 crore. "It was the best of times, it was the worst of times, it was the age of wisdom, it was the age of foolishness, it was the epoch of belief, it was the epoch of incredulity?" The opening lines of Charles Dickens' novel, A Tale of Two Cities, aptly sum up the tale of India Inc. in the last five years. At a time when the government's Central Statistics Office says India is the world's fastest growing economy, the growth rate of corporate revenues, profits, capex as well as market capitalisation has been the lowest in the last 15 years. Corporate sales grew at a compounded annual growth rate, or CAGR, of 4.8 per cent between 2014 and 2018, as against 14.3 per cent during FY2009-14 and 24.5 per cent in FY2004-09. Corporate profits contracted at an annualised rate of 1.8 per cent in last four fiscal years (FY14-18) in sharp contrast to the 10.4 per cent CAGR during the second stint of the UPA government. Waiting Game: Capex and exports will have to go up if consumption demand has to increase. "There have been drastic policy changes in the last five years - demonetisation, implementation of GST, the Insolvency and Bankruptcy Code and changes in accounting norms, all of which have in some sense impacted corporate earnings," says Sujan Hazra, Chief Economist and Executive Director at Anand Rathi Shares and Stock Brokers. "Demonetisation was a shock. It created a dent in demand and profit growth of companies - listed and unlisted. And 2016 was the time when we were seeing some recovery," says Dhananjay Sinha, Head of Research, Economist and Strategist at Emkay Global Financial Services. So, while Prime Minister Modi wanted to remove black money through demonetisation, it sucked out liquidity from the system and led to a decline in sales across sectors. The Economic Survey 2016/17 estimated that note ban caused a loss of 0.25-1 per cent of gross domestic product to the economic output. The GST shock also led retailers and distributors to reduce inventory due to confusion around the new tax regime, which was implemented on July 1, 2017. As a result, consumer-oriented companies reported a decline in revenues and profits in quarter ended June 2017. "If companies don't make profits, they can't employ people. 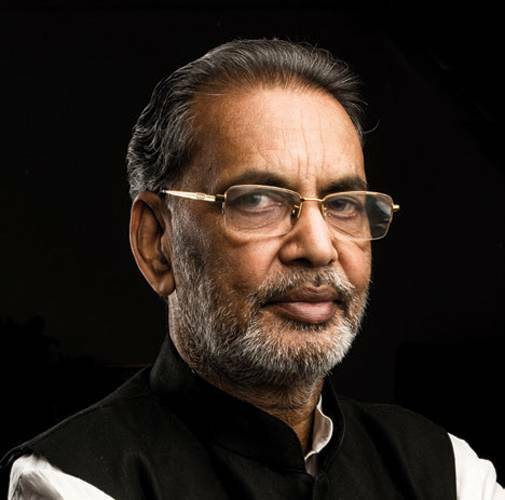 So, private investments took a backseat and return on capital remained low as profit growth slowed," says Sinha. The RBI conducted an asset quality review to clean up balance sheets of banks between 2015 and 2016 as it believed banks were postponing bad-loan classification. Many accounts were re-classified as NPAs, resulting in mounting losses for the banking sector. For the first time in 25 years, public sector banks ended up with negative lending (on a net basis) during FY17 and FY18. This led to drying up of liquidity as PSU banks are the chief lenders to companies. "Delayed recapitalisation and clean-up of banks accentuated problems of companies," says Sinha. To add to the domestic woes, the global environment was anything but conducive for growth. "In the last eight years, the growth has been lower because contribution of global trade to domestic GDP growth has come down. There is protectionism panning out since the 2008 crisis that has impacted the productivity of the Indian economy," says Hazra. Further, there has been a decelerating pressure due to decline in global commodity prices. "Margins did not expand as demand was weak and profit growth mostly zero, especially around 20015/16," says Sinha. Vinod Karki, Research Analyst-Strategy and Vice President at ICICI Securities, says unlike in the pre-2008 period, a boost from financial leverage and operating leverage is missing. "In the core sectors of power, energy and infrastructure, many companies saw significant growth driven by leverage (or debt). Earlier, credit growth was high, return on capital exceeded cost of capital and companies could keep up growth using financial leverage. Right now, the return on capital is lower than the borrowing cost, making debt servicing difficult," he says. On operating leverage, once companies hit a utilisation level of more than 85 per cent, they start reaping benefits. "Utilisation levels are around 74 per cent, denying operating leverage to manufacturers," says Karki. With elections round the corner, PM Modi and BJP are keen to take credit for steering Indian exports to a record level in the midst of a slowing global economy, rising trade protectionism and macroeconomic challenges. 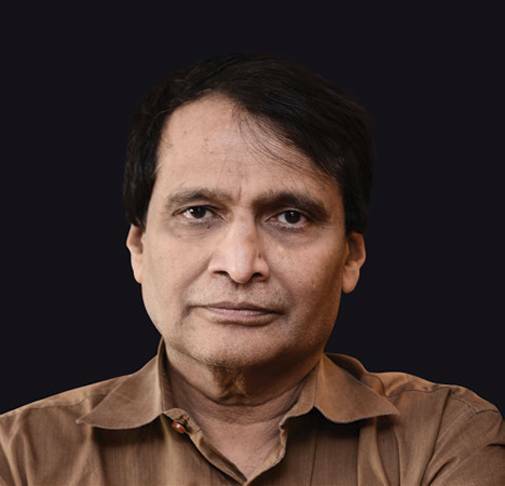 Commerce Minister Suresh Prabhakar Prabhu says India will "export goods worth $330 billion in 2018/19, the highest ever". In the first eleven months of 2018/19, the country's goods exports stood at $298.47 billion. The whole year's number is likely to break the existing record of $ 314.4 billion, set in the last year of UPA2 in 2013/14. The criticism that this could draw is that it took the current government five years to reach this level. To be fair, crude oil prices were much higher during the UPA years than in the last five years. So, at least some part of the buoyancy came from the high prices of imported raw material, and the resultant higher price of refined petroleum product exports. But the criticism remains valid for non-oil exports too. While non-oil exports jumped from $150 billion in 2009/10 to $251 billion in 2013/14, it has grown only marginally in the last five years - from $253.6 billion in 2014/15 to $266 billion in 2017/18 (and $230 billion in the first 10 months of 2018/19). What's more worrying is that exports trends in key job intensive sectors have been patchy. India exported $16.8 billion worth of readymade garments in 2014/15. Three years later, in 2017/18, this was still at $16.7 billion. Leather exports shrunk from $6 billion to $5.3 billion during the same period. From $41.3 billion to $41.5 billion, gems and jewellery exports remained stagnant. Praveen Kumar Pandya, Director of Revashankar Gems, says there are two key reasons for the slow growth in gems and jewellery exports. "The government's policy response was more or less fine... But subdued international demand was an issue. The RBI also failed to understand the credit needs of the sector. People are running from pillar to post for credit of Rs 50 crore," says Pandya. Chennai-based leather exporter Rafeeque Ahmed also feels that factors other than government policies affected leather exports. "The government has given an interest subvention for five years, which is welcome. They have also released a market development fund of Rs 2,600 crore for the leather sector. But cow vigilance, a temporary ban on sale of animals, restrictions on movement of animal hide, etc. affected the industry. International markets became nervous as they were not sure of supply. International demand was also not good, and other countries have been catching up," Ahmed explains. In textile, competition from Bangladesh, Sri Lanka and Vietnam is a factor, apart from the fact that small and medium scale exporters find financing cumbersome. "Financing has gone down by 50 per cent because of the bank procedures. The problem is with the public sector banks, which handle bulk of India's export finance," says Ganesh Kumar Gupta, Chairman, Akaash Textiles. For an economy the size of India, the export numbers are too small. "External factors did play a role, but the (slowdown) is largely due to internal infirmities. And the single most important reason is the failure of the Indian manufacturing sector to deliver," says trade policy expert Biswajit Dhar. 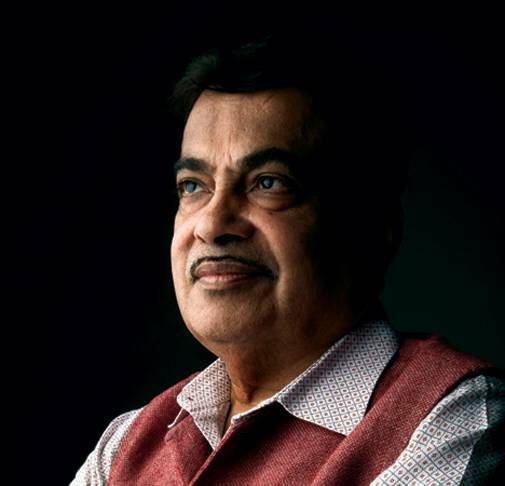 According to him, Indian industry associations are against the ongoing India-European Union free trade agreement and the 16-nation Regional Comprehensive Economic Partnership negotiations. "It (manufacturing) cannot stand up to competition," he says. Even in services exports, India has not made any headway beyond IT and ITeS. "There also we are stuck at a lower value addition level. How are we going to take advantage of the trade negotiations in service exports on Mode 4 (actual movement of professionals like teachers, doctors, etc. to serve in a foreign country)? We have a questionable strategy." The NDA government set up a Bank Board Bureau (BBB) for improving governance in public sector banks (PSBs). But the BBB was mired in a bureaucratic tangle just months after it took off in April 2016. 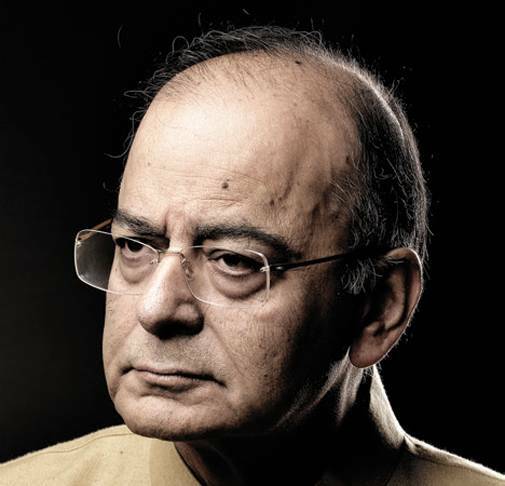 When it approached the government for more clarity in its mandate, the finance ministry refused to cede its turf. The BBB's recommendations for posts of CEO and chairman were not allowed to be placed directly before the Appointment Committee of the Cabinet. Similarly, the government was not too keen on giving its powers to develop a roadmap for housing government shareholding in a bank holding company, which would have reduced government interference. The BBB's request to work on resolution of bad assets was also turned down. So, the BBB is functioning as an appointments board. A.K. Khandelwal, a former member of the BBB, says the role of the BBB needs to be reviewed and steps taken to strengthen the interface with the finance ministry. "It can help the government with independent views on many issues related to transformation of financial services," says Khandelwal, who headed Bank of Baroda earlier. However, government officials say the BBB was not given the asset resolution mandate as the RBI under the then Governor, Raghuram Rajan, had already started a drive to clean up banks' balance sheets as early as 2015. That was two years before the BBB came into existence. So, after the clean-up process, the government and PSBs agreed to initiate a reforms agenda called EASE (Enhanced Access & Service Excellence) with over two-dozen action points. But this exercise will be incomplete without qualitative changes in banks' governance structure, operating model, digitisation and investment. "Newer initiatives have to be undertaken each year within the umbrella of digital and digitisation, especially back-office processes, AI, chat bots, etc," says Amit Kumar, Partner and Managing Director at BCG. The fundamental shift PSBs need is governance reforms, professionalisation of top management, incentive-based compensation and good HR and performance management. 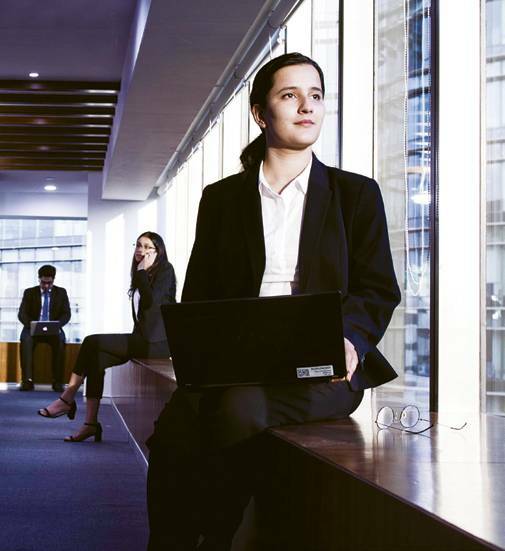 "Today, PSBs need much more competent, skilled and expert professionals in accounting, economics, technology, HR and risk management," says Khandelwal. The NDA government probably got these things right when it sent two private sector professionals (ex-Citibanker and ex-Microsoft chairman) to man a large bank like Bank of Baroda. In three years, the duo managed to transform the bank. But then the government decided to merge the bank with Vijaya Bank and Dena Bank. The big initiative was abandoned mid-way. Many experts say that while clean-up of hidden NPAs in bank balance sheets was a good exercise, the government failed to anticipate the massive capital requirement because of provisioning for stressed assets. "They did many things without realising the consequences," says a banker. They also took an optimistic view of credit offtake, which fell sharply and lowered profitability of PSBs. The government did provide higher capital, almost Rs 25,000 crore each for 2015/16 and 2016/17, which was more than the Rs 10,000-12,000 crore provided in the earlier years. It wanted to distribute capital among PSBs based on performance. But because of higher NPAs, close to a dozen PSBs landed under the prompt corrective action mechanism for falling capital, negative net worth and losses and had to be given more capital to survive. While the EASE initiative talked about raising equity from markets and unlocking capital from existing assets, low valuations prevented raising of equity. "Monetisation of non-core assets needs to be expedited by leveraging external professional expertise," suggest Kumar of BCG. GST and Insolvency and Bankruptcy Code (IBC) are two standout reforms that would have a long-term positive impact on the economy. While for GST, a lot of groundwork was done by the UPA, the Modi government can take full credit for IBC. The Modi government was quick to act on the need to have a new insolvency law. Within three months of coming to power in 2014, the Modi government had formed a committee to draft a new bankruptcy law. The Committee submitted its report in November 2015 and the bankruptcy bill was tabled in Parliament in December the same year. By December 2016, the new law was in force. Clive Barnard, Partner, Herbert Smith Freehills, a London-based law firm, says, "We honestly thought what was being proposed was too ambitious. When we were looking at the initial proposals, we were frightened to see what you were going from and going to, and how dramatic and quick that transformation would be." The IBC was implemented at a time when the countrys banking system was burdened with over Rs 10 lakh crore NPAs, which had effectively put a brake on private investments in India. There was a crying need for a legislature that would unshackle both the banks and the companies. IBC has resulted in resolution of 88 corporate loan default cases involving Rs 1.6 lakh crore of NPAs and it has facilitated recovery of Rs 69,000 crore as of March 25, 2019. This is a recovery rate of 43 per cent against 26 per cent before IBC was implemented. Of course, not all cases have been resolved within the stipulated 270 days. The Essar Steel case, for example, lingered on for over 500 days. Yet, this is a sharp improvement over the earlier average of 4.3 years. Even the cost of resolution has come down to less than 1 per cent from 9 per cent earlier. Of the 12 large cases, including Essar Steel, Bhushan Steel and Alok Industries, which accounted for unrecovered loans of Rs 3.45 lakh crore, six have been resolved leading to a loan recovery of 56 per cent or Rs 96,000 crore. The 20 months since GST was implemented, on the other hand, have been less smooth. It was anyway not an easy task to consolidate 17 state and central taxes into one, and make states give up their power to decide tax rates. The new law had numerous teething problems, which forced the GST Council to make revisions - 320 circulars and notifications were issued. So many changes and several rate rationalisations unsettled businesses as compliance became onerous. To compensate for this, the government delayed the implementation of the anti-evasion provisions under GST. All these developments have had an impact on GST collection, which have not been encouraging. Monthly collection figures have crossed the Rs 1 lakh crore-mark only thrice (in April and October 2018 and January 2019). Based on the lower collection, the government revised its revenue from GST to Rs 6.43 lakh crore, from a budgeted target of Rs 7.43 lakh crore. The next year's target is only slightly higher at Rs 7.61 lakh crore. Formalisation of the economy, one of the major objectives of GST, has been slow. The number of registered entities under GST is 12.5 million against 6.4 million under the previous tax regime. But things are falling in place. Compliance is increasing. From 6.5 million GST returns filed in the first month when GST was implemented, the monthly rate is now around 7.3 million. Even the number of returns filed within the monthly deadline has increased from 3.8 million in July 2017 to 7.3 million in January 2019. 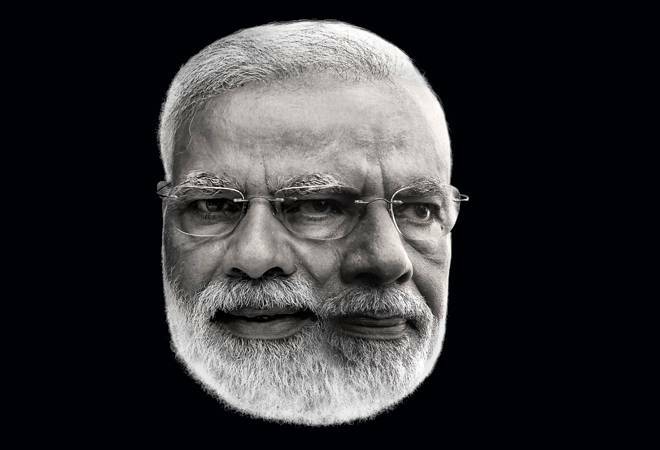 By the time Modi became Prime Minister in May 2014, the Pew Research Center was working on a report, AI, Robotics, and the Future of Jobs. The report found that about 48 per cent of its survey respondents agreed with the statement that "networked, automated, artificial intelligence applications and robotic devices [will] have displaced more jobs than they have created by 2025." A notable number of respondents expressed concern that "we will see the emergence of a large class of people who have lost their jobs to automation, and who have little hope of gaining the skills needed to obtain meaningful employment...," the report stated. Over the next five years, many of these concerns played out in India. Make In India aspired to metamorphose the country's low-productive manufacturing sector into a global powerhouse. But new factories, enabled by a range of exponential technologies, employ a quarter or less of what an older generation factory did. For the first time, even white collar jobs started getting automated away. Automation is a global trend. However, the Modi government made several decisions that, in retrospect, harmed labour markets and destroyed jobs at a demographically difficult time for India. The number of working age population joining the workforce every month compounds the problem. The World Bank's South Asia Economic Focus, Spring 2018 report states that between 2015 and 2025, India's working age population (those above the age of 15) is expanding by 1.3 million a month. The report says 8 million jobs a year will be needed; not everyone in the working age population works. The Centre for Monitoring Indian Economy (CMIE) conducts an unemployment survey with a sample size of over 178,000 households. The company's survey indicates that in calendar year 2018, the number of people employed had shrunk by nearly 10 million from 406 million in December 2017. In February 2019, the unemployment rate is estimated at 7.23 per cent, higher than the 5.87 per cent in the year-ago month. Ever since the NDA government came to power in 2014, there were murmurs of design flaws in India's employment estimates. The National Sample Survey Organisation-Employment-Unemployment Survey (NSSO-EUS) was discontinued because of its low frequency and the time lag between data collection and availability of the results. Instead, NSSO, since 2017, worked on a Periodic Labour Force Survey (PLFS) to provide annual estimates of labour force, employment, unemployment. The government never made the report public but it leaked - India's unemployment rate had hit a 45-year-high of 6.1 per cent in 2017/18. One of the biggest impacts on the jobs market was demonetisation, announced in November 2016. The unorganised sector and smaller companies were particularly affected. Labourers in many industries had to go back to their villages and work was not available for a few months. CMIE predicted that between January and April 2017, about 1.5 million jobs were lost. At least for the first few months after GST came into effect in July 2017, smaller companies found compliance difficult; they couldn't afford to hire advisers and struggled with delayed tax returns because of glitches in the software. One of the reasons for the employment crisis has been low investment across sectors. Manufacturers were hesitant to invest because of low capacity utilisation, a sign of poor end-consumer demand. According to CMIE's CapEx data, new investment announcements shot up 103 per cent in 2014/2015, after Modi came to power. But it has slid for three years in a row since. Investment projects completed shot up by 44 per cent in 2015/16, the highest in 10 years, but dropped to 10 per cent growth in 2016/17, and contracted 23 per cent in 2017/18. The bottom-line: for jobs growth, the cycle of investments has to stimulated.